Move over Jeremy Lin, the greatest basketball player to ever play the game, Michael Jordan, is the new real estate star. Lin, the Knicks phenom and the NBA’s feel-good story of the year, got the world buzzing last week after deciding to rent at the W New York Downtown Hotel. 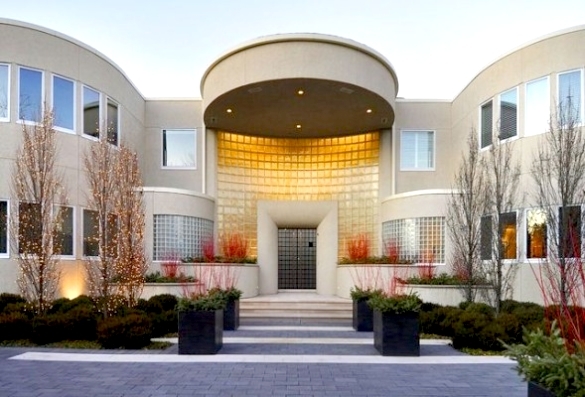 However, the New York point guard’s new digs pales in comparison to the Highland Park, Illinois mansion of ‘His Airness’, who has recently put the property on the market for $29 million. At first glance, Air Jordan’s contemporary manse exudes the same star power as its owner. The massive and private compound, which served as the Jordan family home over the past two decades, boasts more than 56,000-square-feet, with nine bedrooms, 15 bathrooms, four half baths and five fireplaces. The luxury amenities start at the gate, where an engraving of the Chicago Bulls legend’s iconic number, ‘23’, offers a greeting to guests of the estate. And the fun doesn’t stop there. Within the confines of the compound, there is an indoor tennis court, putting green, deep water pond and a trio of climate-controlled garages with space for up to 15 cars an attached indoor basketball complex. 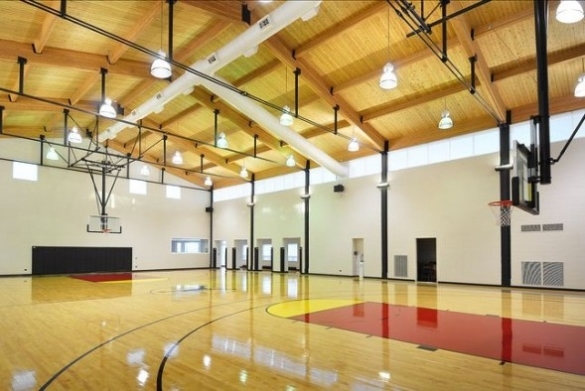 Lest we not forget, there’s also the one home feature no basketball god should ever be without: a regulation-size basketball court complete with cushioned hardwood flooring, motorized backboards and a wired premium sound system. Jordan’s legacy of shoes, game-winning shots, dunks and tenacity on the basketball court is likely one that will go forever unmatched. The Hall of Fame wing and current majority owner of the Charlotte Bobcats played fifteen seasons in the NBA for the Chicago Bulls and the Washington Wizards, during which time he amassed five MVP awards, six NBA Championships, six NBA Finals MVP awards, ten scoring titles and 14 All-Star appearances. He currently holds league records for highest career scoring average (30.12 ppg) and highest career playoff scoring average (33.45 ppg). Besides being one of the best NBA players of all time, MJ is largely considered the premier iconic athlete of the 20th century. The listing is presented by Katherine Chez Malkin of Baird & Warner Realty.